You're invited to the Launch of an Exhibition of L.M. Montgomery's Scrapbooks. L. M. Montgomery was an extraordinary record-keeper, from many volumes of journals to letters written to many friends. She also kept scrapbooks containing souvenirs from events she attended, wedding invitations and write-ups, obituaries, even bits of fur from her pet cats. Included in these scrapbooks were pictures and articles from magazines and newspapers of the day, perhaps as reminders of people she knew or perhaps to be used later as inspiration for some of her stories and poems. Two scrapbooks from Montgomery's years spent on Prince Edward Island (until her marriage in 1911) are now owned by the L. M. Montgomery Birthplace and are carefully stored at Confederation Centre in Charlottetown. Elizabeth Epperly identified the sources of many of the personal souvenirs in the two Island scrapbooks in her 2008 book Imagining Anne: the Island scrapbooks of L. M. Montgomery. Other researchers began to wonder where some of the clippings pasted throughout the pages of the scrapbooks had come from, not only to identify their sources but also what they might reveal about the kinds of periodicals Montgomery was reading during those years and what influence they might have had on her writing. 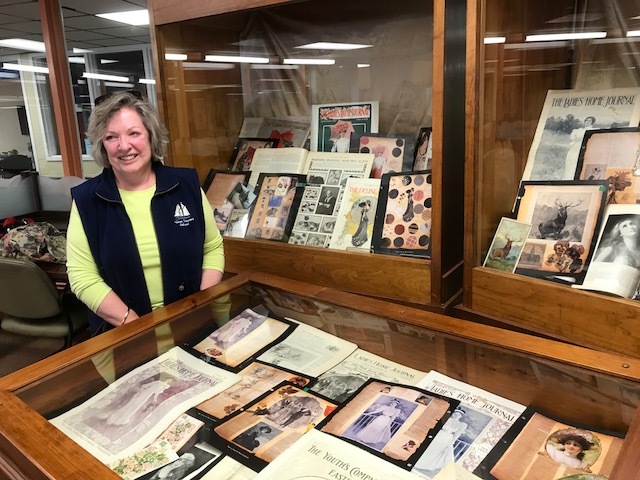 Carolyn Strom Collins, longtime Montgomery researcher and author, has identified over 100 items in the two scrapbooks, inspired by the work the late Christy Woster had started. They collected original copies of periodicals that contained the items so that they could be seen in context and also broaden our knowledge of Montgomery's reading materials.